The HDR4X4 switches multiple resolutions up to 1080p and digital audio from any four HDMI sources to four HD displays. HDR4x4 can be used anywhere high-definition video applications are used. 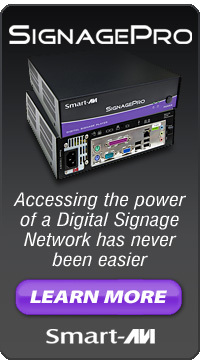 You will find HDR4x4 in Digital Signage, Commercial installations and in home theaters. 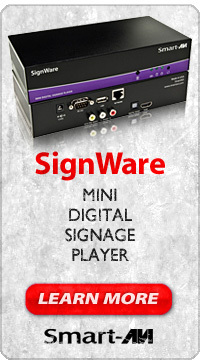 Categories: hdmi, hdmi audio, hdmi extender, hdmi matrix, hdmi switch | Tags: hdmi, hdmi audio, hdmi extender, hdmi matrix, hdmi switch, home entertainment system | Permalink. 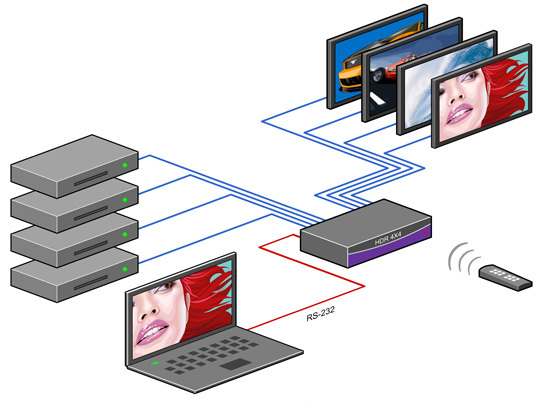 The HDR4X2 switches multiple resolutions up to 1080p and digital audio from any four HDMI sources to two HD displays. HDR4x2 can be used anywhere high-definition video applications are used. 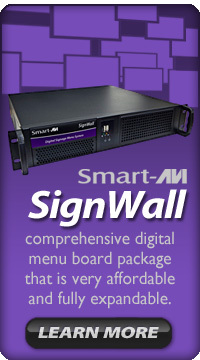 In HDTV installations, where several sources need to be switched to different displays, SmartAVI’s Matrix Switch Series is the perfect solution. The FX-USB is a perfect solution for extending USB 2.0 signals from a computer in a remote location. It extends USB 2.0 to a remote location up to 1,500 feet away. It supports all USB device types from high-speed web cams, hard drives, printers, scanners, audio devices, touch screens, digital cameras and game controllers. The FX-USB is immune to electromagnetic interference, making it ideal for use in situations where there is considerable interference. The FX-USB is also very secure because it’s fiber optic signals cannot be easily tapped. Categories: fiber optic, multimode fiber, usb 2.0, usb extender | Tags: fiber optic, multimode fiber, usb 2.0, usb extender | Permalink.